The Aqua TROLL 600 water quality platform is rugged in groundwater and corrosion-resistant in surface water. 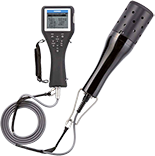 It delivers accurate, reliable data in an easy-to-use, flexible instrument that performs for years! 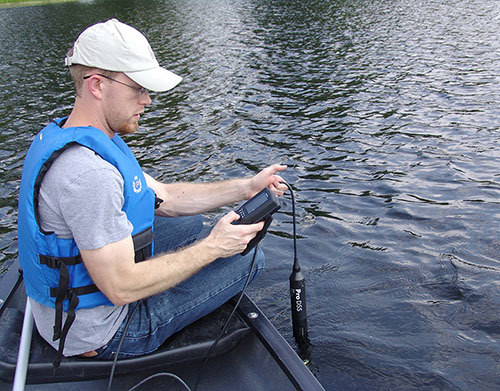 Base sensor configurations include EPA-approved optical dissolved oxygen, pH/ORP, turbidity, conductivity, temperature, and pressure. Integrate with In-Situ telemetry systems and HydroVu™ Data Services for real-time feedback on your remote monitoring sites. Measure and display 11 parameters simultaneously with newly designed control unit and sensor technology. Intuitive software assures ease of use and operation efficiency. Experience the durability and performance of a water quality meter that exceeds your expectations in the field testing of groundwater and surface water applications.